This player does the business with both music and movies. 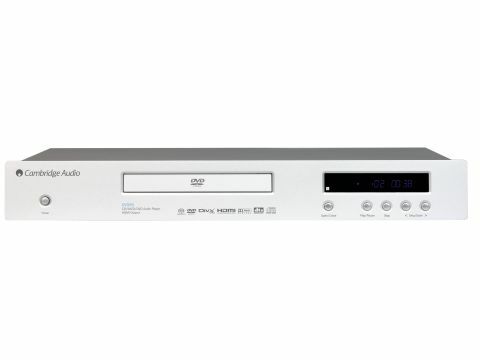 A couple of years ago a DVD player like this would have cost closer to a grand than the DVD89's asking price, but then no player at any price would have offered the battery of features on offer here. This is the first time a HDCP compliant HDMI connection has featured on a Cambridge Audio player. And, there's something about the way Cambridge Audio bolts its kit together that makes this feature very classy indeed. The HDMI connection is the ideal way of linking the DVD89 up to a suitable screen or projector, and is capable of outputting video in 480p, 576p, 720p and 1080i resolution. If you don't have HDMI - or DVI - you'll have to make do with component video, which is also supported as well as a six-channel analogue surround sound output. There are a few other rich highlights on this player: it's a universal device, so if you happen to have any SACD or DVD-Audio discs this player can handle them. The DVD89 can also handle discs loaded with DivX movies. This combination obviously appeals to both the higher and lower ends of the market. Setting up is simple and the onscreen menus are clean and clear although there are plenty of options. The remote, however, isn't up to the standard of previous controllers. During Star Wars Episode III, with its long dark sequences, the DVD89 does a fine job of rendering backgrounds without too much unsightly smearing, while foreground detail is easy to pick out even when it's shrouded in shadow. Switching to the brighter hues of The House of Flying Daggers, the DVD89 again delivers, this time with a coherent grip on colour that keeps bright items bright, while presenting less garish colours as muted. Detail levels are also spot on. We watched The Life Aquatic on DVD and then switched to Sky's HD broadcast of the film. The broadcast made the disc version look a bit blocky in comparison, but the general levels of information on screen were delivered with panache, and without any of the jaggedness that some players produce while trying to sharpen up their image. Unlike many affordable DVD players, this machine is a little demon when it comes to music playback. Okay, so most common-or garden pieces of kit can output the Dolby Digital soundtrack of a live concert DVD, but the DVD89 manages to perform well with music of all types, not only DVD-Audio and SACD but even more impressively with the bog-standard 30-year old compact disc. There's a clarity and openness to the performance that easily equals that of a budget CD player, and comprehensively outstrips many more expensive DVD players we've listened to.